One of the issues people have when they are learning to communicate with their Spirit Guides and essentially read for themselves on their own issues, is that we know ourselves quite well. Beginners often ask me, how do I know if I am really channelling accurate information about my life or just going over what I already know about myself? 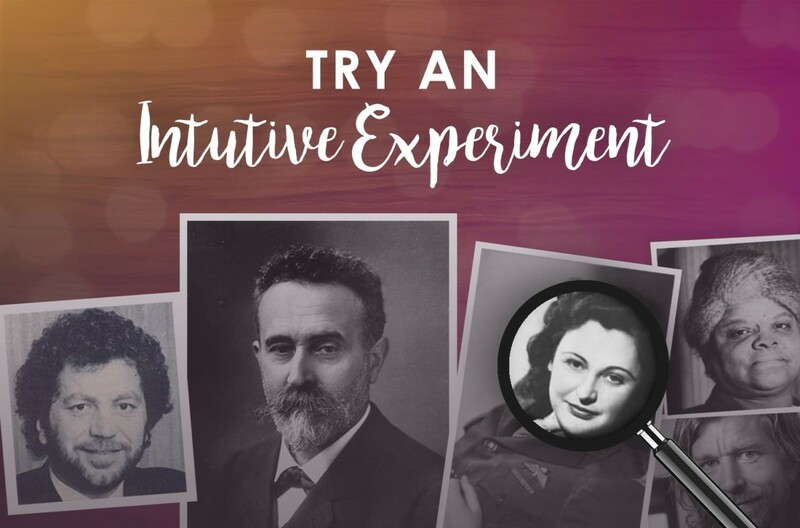 A great way for seasoned psychic developers to get validation that their abilities are real is by taking part in one of my Intuitive Experiments, which I run once every few months. As part of these experiments, I post a picture of a person who is in the public eye (but also kind of obscure) and invite readers to comment on what they pick up about this person. Then one week later I reveal who the person in question is, so that your results can be verified! You can start from the top and work your way down. Remember – practice makes perfect! Intuitive Experiment #15 – What do you pick up about this woman? Intuitive Experiment #24 – What Do You Pick Up About These People? Intuitive Experiment #25 – What Do You Pick Up About This Woman?